Small volume closed wound drainage under negative pressure. Specially designed for Laparoscopy and plastic surgery. 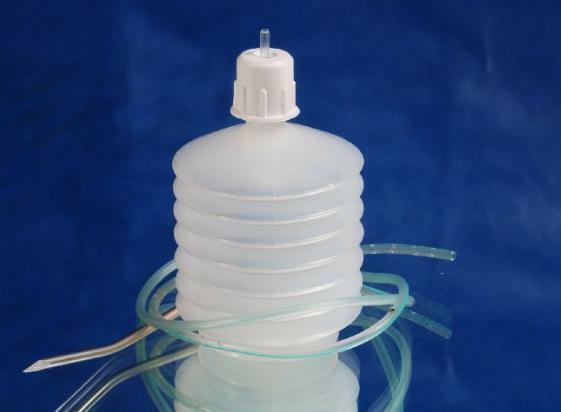 Redon drain tube provided with RO line and smooth eyes for drainages from small closed wound. Smooth and atraumatic eyes for easy and smooth drainage also prevents from any post operative trauma. Bellow capacity of 50 ml to measure drainage volume from wound..
Trocar needle assist in placement of catheter inside closed wound. Leak proof cap for easy operation.